2) implements as many of those as possible. Add your website to Search Console – This is important because you can get notices from Google about site issues and indexing issues. Check site speed and optimize – Visitors will abandon any site that takes longer than two to four seconds to load. Use caching or faster hosting to improve load times. 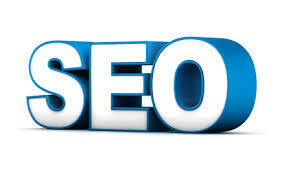 Use an SEO plugin for your CMS – In order to make the best use of on-page SEO, you will need a good SEO plugin. Ensure site is responsive – Google gives ranking benefits to sites that are responsive and mobile friendly. Check for and remove broken links – Broken links can cause indexing issues and should be removed as quickly as possible. Use a tool like Xenu link sleuth to scan your website. Use structured data where possible – If you have elements like recipes or guides, then use structured data to improve click through rates. Use SSL – Installing a certificate will also give you a definite rank boost. Especially if competing sites remain HTTP.